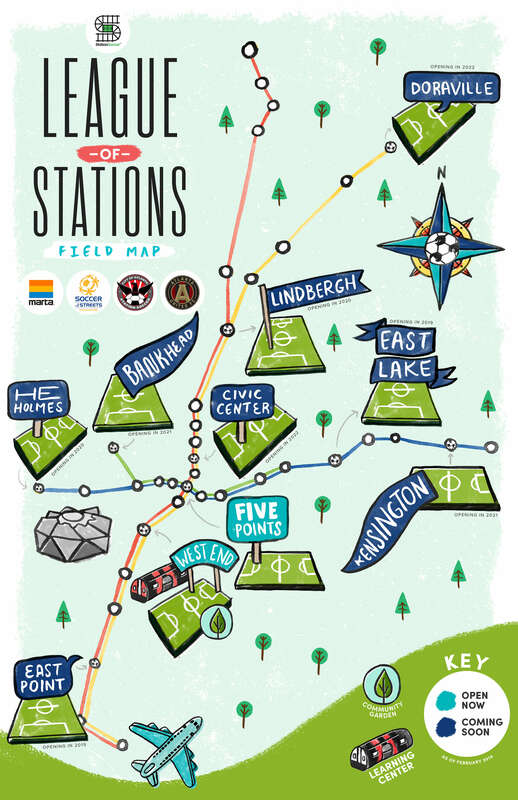 Soccer in the Streets is doing some really exciting work with Station Soccer in Atlanta – they’re taking unused space on MARTA property and turning it into small soccer fields that kids and adults can both play on. I worked with them to create this master plan map – showing what fields are already open, and the ones they intend to open next. This will help generate more excitement and intel around the project!